DEAL UPDATE: Currys has cut the cost of the Google Chromecast by £5, chopping its price tag down from £30 to £25. You can click that link to go to the product page if you feel like making a purchase. After launching in the US last July, Google’s Chromecast has finally come to the UK (and a handful of other countries). For those who haven’t been following, the Chromecast is a low-cost, key-shaped dongle that plugs into an HDMI input on your TV and lets you beam internet content from your smartphone, tablet or laptop onto the big screen. It’s an incredibly simple device to set up. The first step is to plug it into a free HDMI socket on your TV and supply it with power via the micro-USB socket. If your TV has a free USB port, then you can plug the supplied cable into this; for everyone else, there’s a USB mains adapter in the box. Next, you simply need to install the Chromecast app on your iOS, Android or Windows device, and run the setup routine to add the Chromecast to your 802.11n Wi-Fi network (note that only 2.4GHz networks are supported). 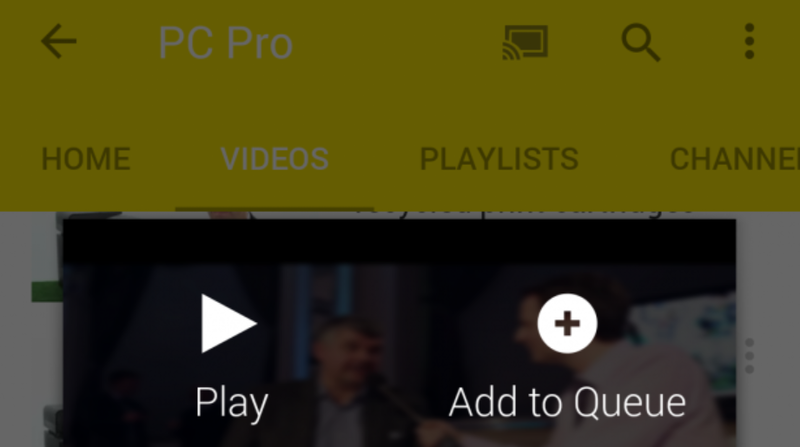 With this done, content from supported apps and web-based players can be “cast” from your device to the TV with a simple tap or a click on the Chromecast icon. And that’s all there is to it: the Chromecast has no user interface of its own to bother with. The clever stuff goes on behind the scenes. Although the Chromecast appears to stream video directly from the device you’re sending from, in reality the device merely serves as a glorified remote control. Once the Chromecast receives its instructions, it pulls the video down from the internet itself and displays it independently. This means that, once playback has started, you can carry on using the casting device for other things. You can surf the web, play games, browse other on-demand services or even answer phone calls. The only thing you’ll still need it for is pausing playback, or skipping forwards and backwards. It all works beautifully. In more than a week of watching all manner of movies and TV episodes, we found the Chromecast barely skipped a beat. BBC iPlayer, Netflix and Google Play movies streamed flawlessly, from standard definition all the way up to 1080p. You will need a fast enough broadband connection, but if you can currently watch this type of content smoothly on a laptop, chances are it will work on the Chromecast. And being able to browse such services on a touchscreen or a laptop is a real boon: it’s far easier to browse and discover content this way than with an infrared remote control. There are a few disappointments. Not all streaming services take advantage of the Chromecast’s full capabilities: although Google Play, Netflix and YouTube stream content at the device’s maximum resolution of 1080p, BBC iPlayer currently only works at up to 720p (at a bit rate of 2,800Kbits/sec). As yet, there’s no support at all from other major UK catch-up services such as ITV Player or 4oD. In theory, you can get around this by using the Chromecast Chrome extension or a variety of Chromecast apps, which lets you cast the contents of any browser tab to the TV. This means you can stream any on-demand video service, even if it’s not officially supported – and play local video files, by dragging them directly into Chrome. In our tests, however, casting browser content proved much less smooth than internet streaming. We experienced choppy video and audio-sync issues, and had to drop the resolution to 480p to get reliable playback. We can see why Google has labelled this feature as still in “beta”. Finally, it’s worth noting that BBC iPlayer support is currently restricted to the iOS and Android apps, with browser support coming “soon”. Amazon’s Kindle tablets aren’t supported at all, but there are apps that will allow you to reap the benefits of having an Amazon Kindle device and a Chromecast. Google has updated the Cromecast operating system to now allow for pause/play functionality from your TV remote. While using your smartphone or tablet to suspend and resume onscreen action, sometimes it’s handier to just use the TV remote next to you. The eagle eyed among you will notice that Chromecast doesn’t have an infra-red receiver, so how does it work with your TV remote? 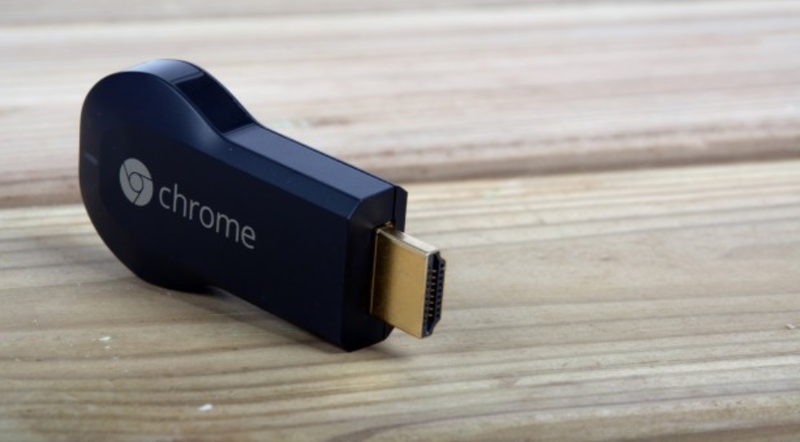 Using HDMI-CEC, the same technology that changes the TV channel to Chromecast when you start casting, Google’s streaming stick can interact with your TV to pause and play. It doesn’t work with all TVs, and your remote needs pause and play buttons too. 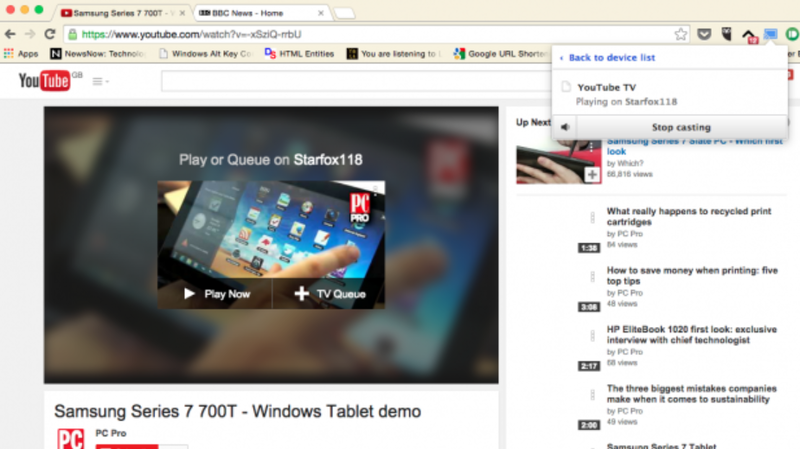 According to /r/chromecast, the new feature works with YouTube, Allcast, BBC iPlayer and Google’s services like Play Music and Chrome’s built-in web browser. No doubt more apps will begin to adopt the feature as they receive new updates. The Chromecast isn’t quite a silver bullet for all your internet TV streaming needs, therefore; and neither is it without competition, as Sky’s Now TV box and the Roku 1 offer similar functions. However, despite being even cheaper at £10, the Sky box doesn’t offer the 1080p output of the Chromecast – and the Roku 1, which does, is £20 more expensive. Both use a traditional remote-control-driven interface too, which fails to match the ease of browsing and searching for content on your smartphone, tablet or laptop. Amazon’s Amazon Fire TV Stick is coming to the UK soon, and that could be a strong rival to Chromecast’s crown. 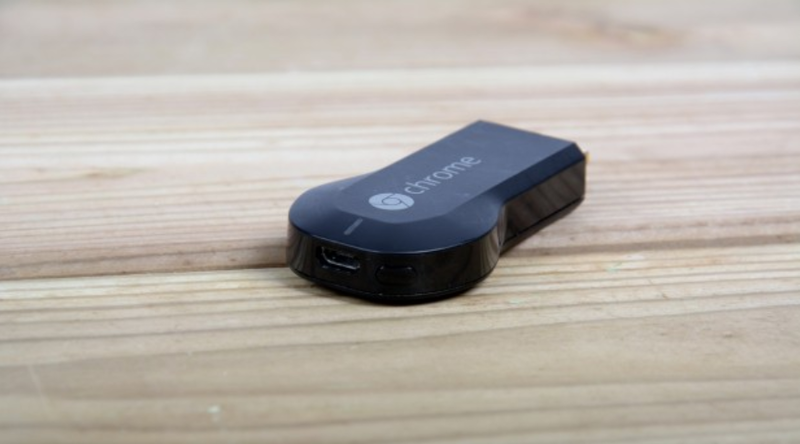 Overall, we like Google’s Chromecast. It’s simple, it works well with supported content, and it represents superb value for money. If you fancy adding smart features to your TV and don’t already own a rival streamer, it’s well worth giving it a try.